If you have perused the iTunes Store lately on your iPhone, you might have noticed that Genius recommendations are now available. Genius first launched with the release of iTunes 8 in late 2008, and Genius Mixes added a year later in iTunes 9. 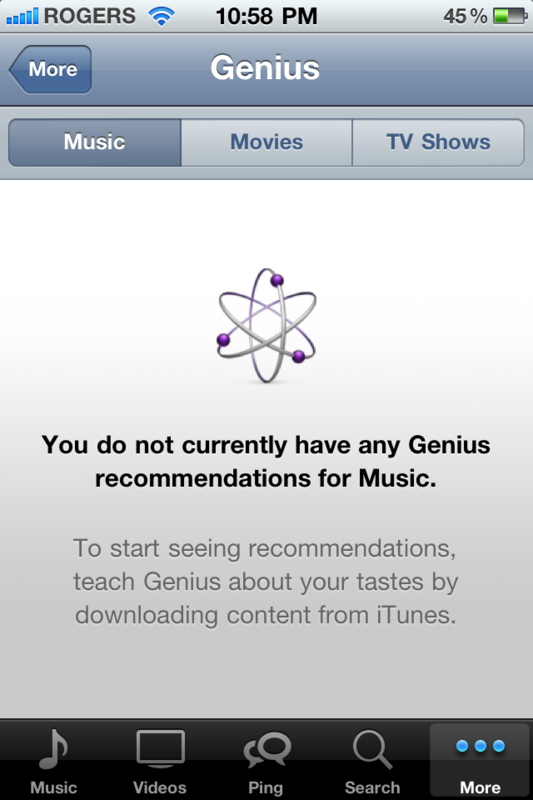 You can check out Genius on your iPhone by launching the iTunes Store, then clicking on More and then tapping Genius.